 Nautilus Minerals Limited has recorded favourable outcomes from the trial of the Seafloor Production Tools (SPTs). The firm says ongoing analysis of submerged trial results indicate that the tools can perform to design specifications with the machine components all functioning as designed in submerged conditions. The company stated this in its update of the submerged SPT trials at Motukea, outside of Port Moresby. Nautilus states that submerged trials of the collecting machine and auxiliary cutter were completed late last year and the bulk cutter trials are anticipated to be completed in February. The cutting performance of the auxiliary cutter has been particularly positive. 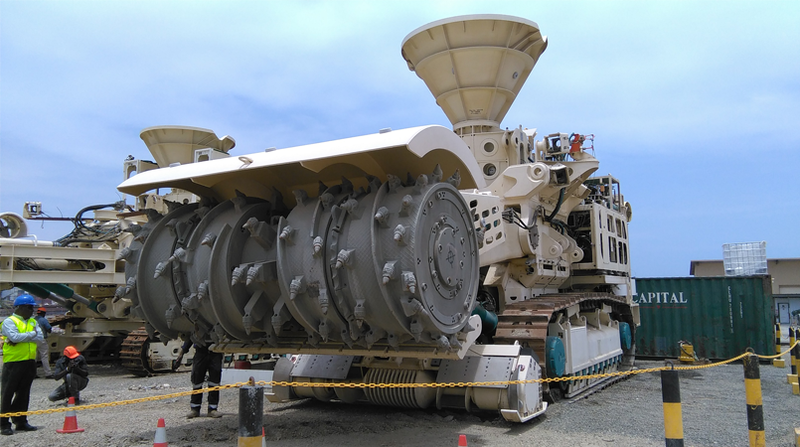 Approximately 770 tons of material was cut during trials, with the Nautilus site team commenting that the material appears at least three times harder than the mineralised material at Solwara 1, (even allowing for the hyperbaric effect on material located at seafloor depths of the Solwara 1 Project which are far greater than the depths at which the trials were conducted). The company will provide a comprehensive analysis once all test work and data analysis is complete. Nautilus also says to date, the bulk cutter has completed commissioning of the power and control system, on-shore functions testing, submerged function testing and submerged endurance trials. Remaining trials will focus on overall cutting performance, a key criteria for this machine. Nautilus’ CEO, Mike Johnston, said in the statement: “We are extremely pleased with the progress that continues to be made on the trialling of the Seafloor Production Tools. “The results of the trials to date indicate that the machines have been meeting and/or exceeding their key design specifications. “These results have been achieved through the dedicated work of our staff, key contractors (SMD and KDI), and support staff (Curtain Brothers, Papua New Guinea), and within a tight budget. “The performance of these machines is critical to our seafloor production system, and the results to date significantly de-risk the project.